First off, birthdays are the B-E-S-T at camp. If you are the birthday camper, each cabin enthusiastically wishes you a happy birthday and sings happy birthday to you at morning assembly. 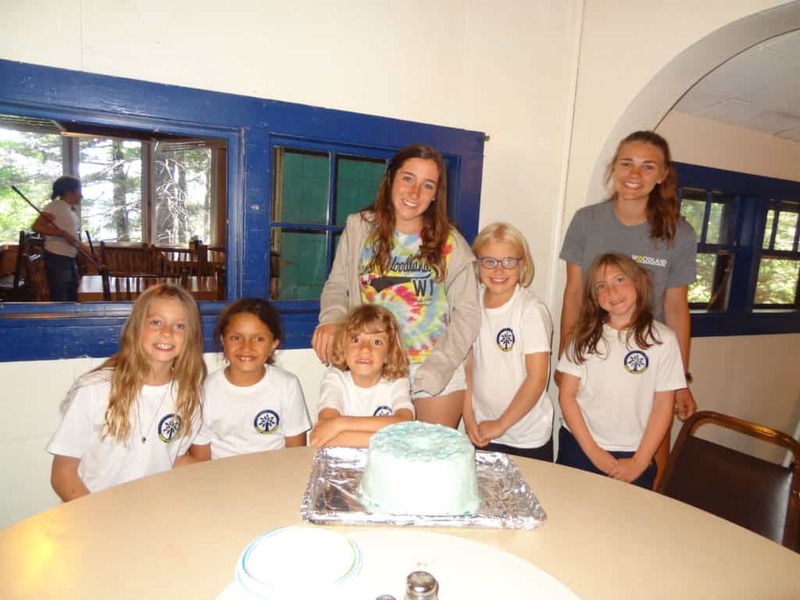 At rest hour you get a special phone call from your Mom and Dad, and at the end of the day the camp directors throw your cabin a birthday party with a homemade cake and a sparkler to top it off. 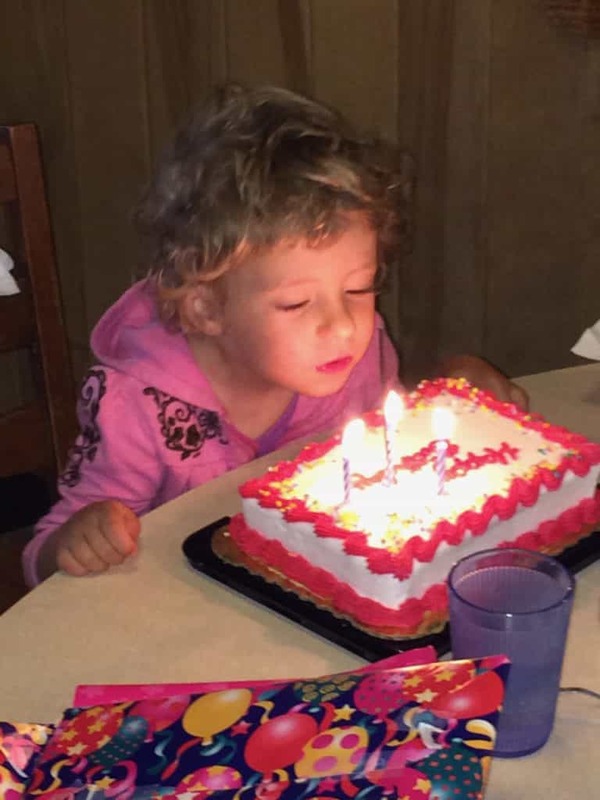 Maddie celebrating her 7th Birthday! My daughter, Maddie, would not celebrate her birthday at any other place. How do I know? She has never spent her birthday anywhere else. I was very fortunate that my life took a positive turn 7 years ago, and the Jordan Family invited me to come back to camp to connect with our alumni and start a few new camp marketing projects. 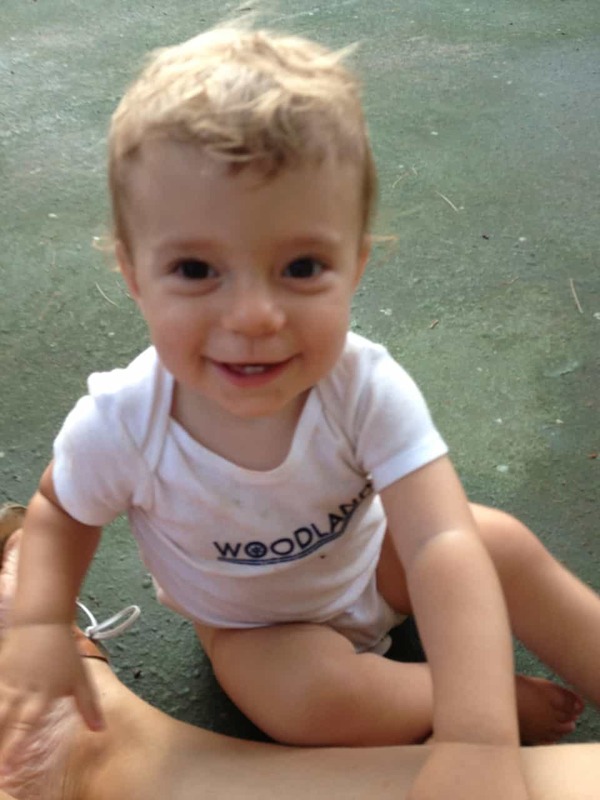 I never thought in a thousand years I would be packing my 11-month-old baby and spend 7 weeks in Northern WI (especially since I live in Virginia). I never thought in a million years that we would continue the annual pilgrimage to WI and Maddie would spend every birthday at Camp Woodland for Girls. 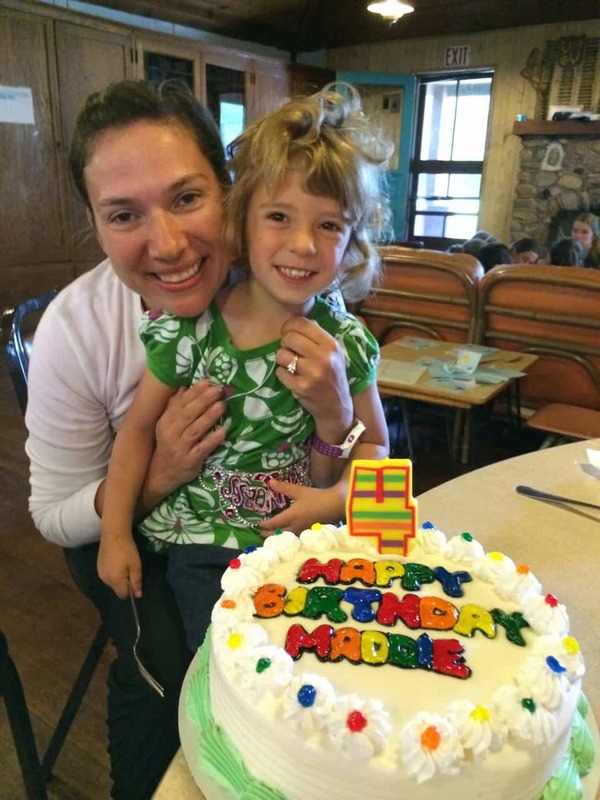 But here we are – Maddie turned 7 years old last Sunday!!! 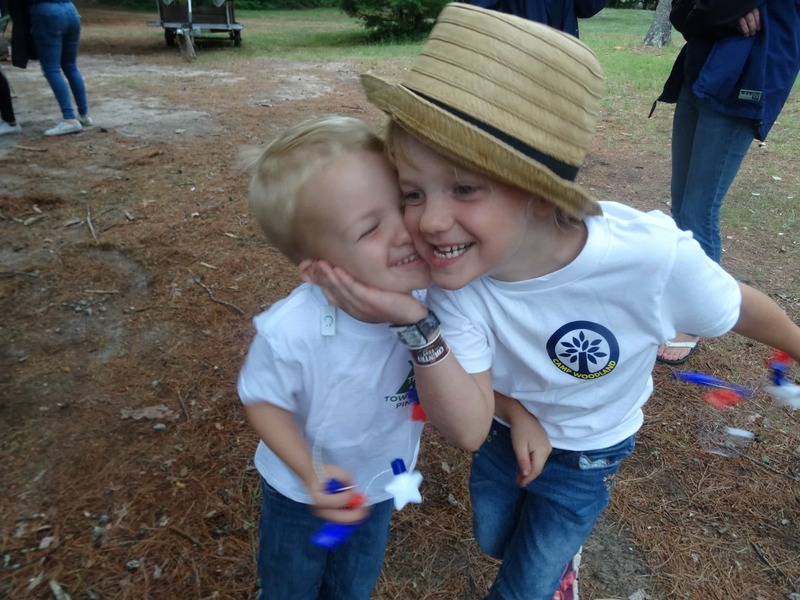 This year was more special than ever, because she is now a full time camper celebrating with her cabin mates in Starshine. You heard it right, my daughter just turned 7 years old is a full-fledged camper for 6 weeks. Like all first year parents, I was nervous. Will she change her underwear everyday, wash her hair, eat anything at meals, and be able to keep with the older girls in activities? I soon realized everything would be ok when she quickly stopped calling me Mom and started calling me Lee! She also stopped referring to her younger siblings as her family members and only refers to them as the “day campers”. The super cool thing is that I now get to see the “fruits of my labor” pay off. Maddie is the quiet girl at school. She does what she is told and sits back and watches everyone else. Teachers weren’t sure she was learning anything until she took her first test. They soon realized she was absorbing everything. At camp we do not need her to take a test to know that Maddie is learning so much. 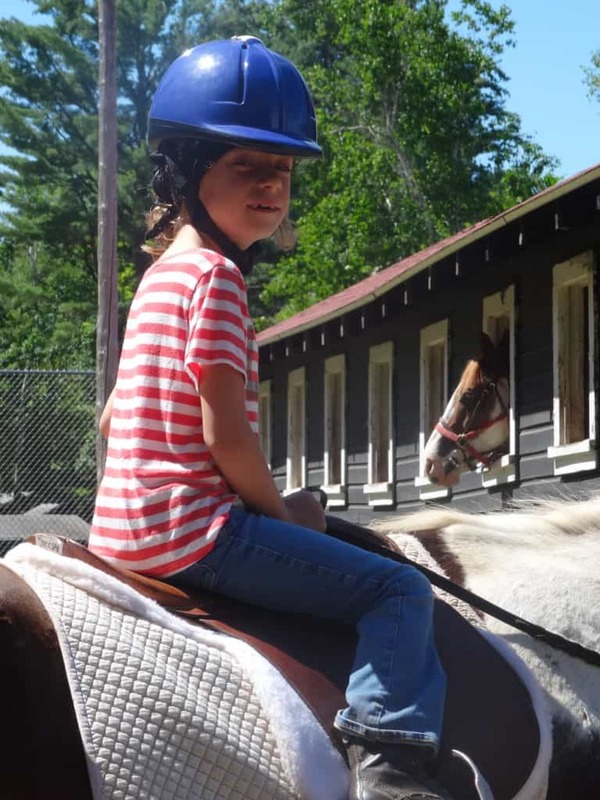 She is a doer- loves to sing, tell jokes, rides an enormous horse with confidence, and is part of a cool little crewe called the Starshine Cabin to put on skits at campfire. I have a feeling she is going to be an unstoppable 2nd grader this fall. If not, that is ok, because I know she will always be an unstoppable Woodland girl. 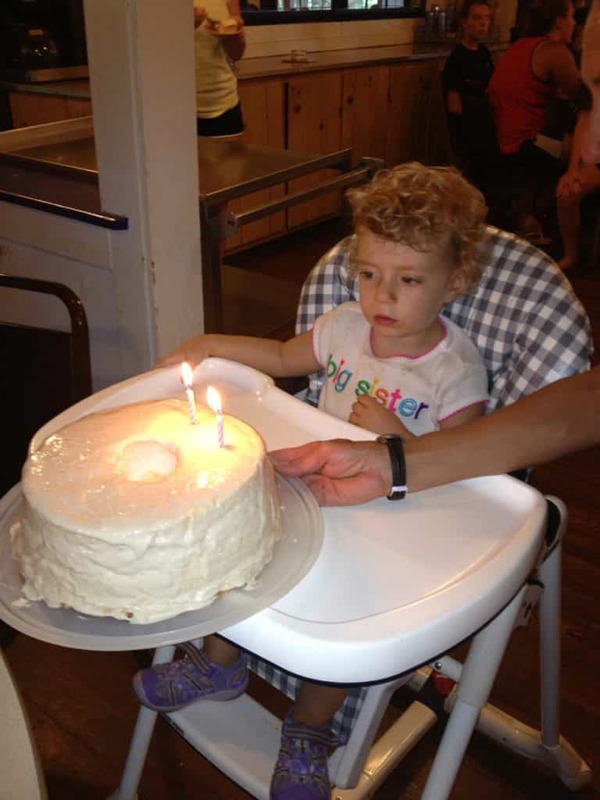 Maddie’s first birthday at Camp!